If you are in the process of planning your wedding, then we understand the stresses involved, with so many venues, florists and caterers to see and compare. Here at Cardeva, we go to great lengths to support brides and grooms throughout the many planning phases, offering tips and advice on a variety of wedding card design and printing services. Eager to keep costs down, we have below stated the top factors that can affect the cost of wedding invitations. Standing for Grams per Square Meter, GSM refers to the type of paper your wedding cards will be printed on, referring specifically to the weight of the paper. If you weigh a sheet of paper that is 1 metre x 1 metre, the weight of that sheet in grams is the GSM value of that paper type. To put in simple terms, the heavier the paper, the more expensive your wedding cards will be. In addition to the GSM, the print method used for your wedding cards can also have an impact on the price you will be quoted. In the modern world of print, most designs are flat/digitally printed. Revolutionising the world of print, digital printers offer an affordable way for brides to order wedding cards they want, printing with a huge plethora of colours to tie in with their wedding theme. At the other end of the spectrum you have letterpress printing, a centuries old technique that Is authentic, yet expensive. 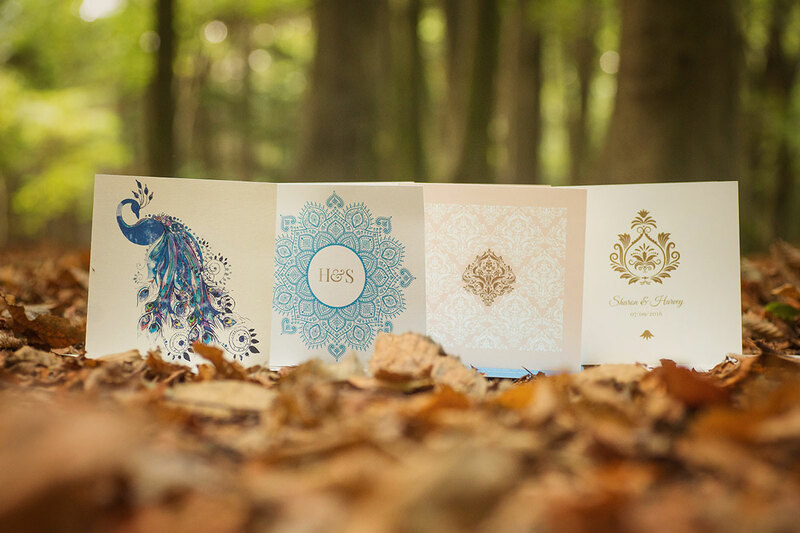 With graphic design being such a specialist area, it inevitably costs money to create bespoke wedding invitations, with unique designs often reserved for the more lavish of brides and grooms. With creatives often paid for by the hour, each version and edit will cost the customer. However, here at Cardeva, we offer a range of affordable design services, whether you have a vision or want to explore some of our wedding card templates. If you would like to learn more about the array of design and print services on offer, be sure to contact us at Cardeva at today.